Field Report – Marc Schuster, etc. 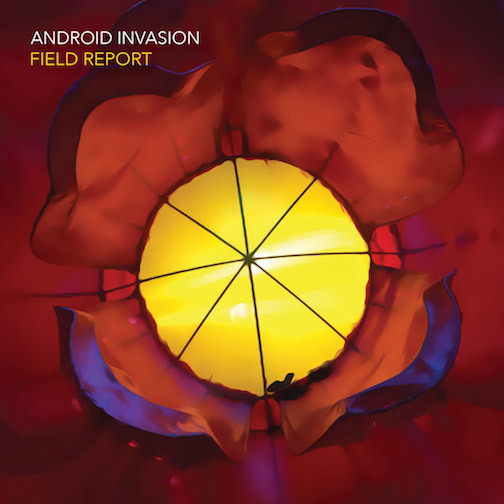 Longtime readers of my blog may recall that I started recording electronic music with Android Invasion back in 2012. Recently, several events transpired that led me to return to that on-again-off-again project. For one thing, I read a lot of books about filmmakers over the summer, and I started thinking about how I wanted to record music that had a cinematic feeling to it. In particular, reading about Stanley Kubrick’s 2001: A Space Odyssey led me to watch the film again, and some of the music on the soundtrack had a haunting feel that I liked. I also wanted to something esoteric in the vein of one of my longtime favorite directors, David Lynch. Coincidentally, about midway through summer, I saw that a friend of mine from high school named Kevin Quinn was on Facebook, so I friended him and found out that he’s an amazing visual artist now. His works focus largely on architecture, playing with color, light, and repetition in a style that’s reminiscent of Andy Warhol. I thought his work was really cool and original, and it made me think about how much I like doing cool and original stuff with music. I love writing and recording more traditional three-minute rock and pop songs, but I also want to do something that pushes boundaries a bit and is a little more “far out.” That’s why I decided to revive Android Invasion. The music on the album is ambient — definitely in line with the kind of music Brian Eno pioneered on his Music for Airports album and others like it. It’s also fairly minimalist and hypnotic. You can certainly listen to it closely and pay attention to subtle shifts in tone and timbre, but it’s also extremely repetitive, so you can put it on in the background and not think about it at all. It’s great for meditation, for relaxing, and for lulling yourself to sleep. In fact, for some of the songs, my goal was to make it sound like you’re listening to a dream. I also recommend Field Report to all of my friends who are teachers. You can listen to the tracks while you’re grading. They won’t distract you, and they might help to keep your blood pressure down! In any case, I hope you enjoy it!